Anti-fluoride campaigners are calling for the shutdown of fluoride plants in the Lismore and Ballina areas after documents have apparently revealed a ‘litany of breakdowns and fluoride overdose spikes’. The Fluoride Free Northern Rivers (FFNR) group said documents released under Freedom of Information laws revealed breakdowns at the plants at Corndale, Knockrow, Clunes and Durroughby. The group also said its plan to launch legal action against selected North Coast councils was still going ahead but had been delayed as they were awaiting judgement from another fluoride challenge currently underway in the Federal Court. FFNR spokesman Al Oshlack said the group believed Rous Water was in breach of the NSW Fluoride Act by not implementing a proper Emergency Response Plan. 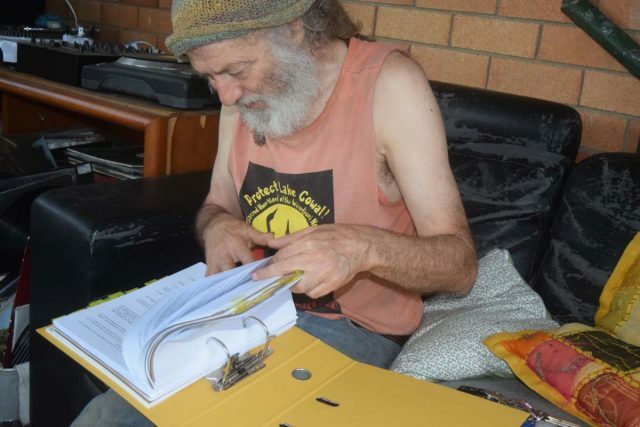 Mr Oshlack said the documents released by Rous revealed there had been at least three fluoride overdose spikes at Corndale, one at Clunes and one at Dorroughby in the first 20 months of operation. ‘This is in addition to 13 serious break downs and operation failures at Corndale, three at Clunes, five at Dorroughby and four at Knockrow. Mr Oshlack said the evidence was clear that not only was water fluoridation detrimental to both human health and the environment but the operation of the dosing plants themselves were extremely hazardous. ‘The released documents reveal a litany of failures and incidents in all four of the fluoride dosing plants operated by Rous some causing overdosing above the NHMRC health standard,’ he said. ‘Rous has yet to prepare a proper Emergency Response Plan as required under the Fluoride Act or made the public aware of the truth on what is occurring in these plants. ‘It is undemocratic and disingenuous for Rous to make a decision carried on the votes of Richmond Valley Councillors to construct and operate these fluoride dosing plants for Lismore City Council residents. ‘It is more problematic that Rous has chosen to put community health and welfare at risk in order to save face. The situation is scandalous and this virtual cover up may be the tip of an iceberg of what is occurring around the State and country. ‘We are aware that at Dungog a fluoride spill poisoned the Hamilton River in which the water supply authority was fined otherwise there is a chilling silence around the operation of Fluoride Dosing Plants. ‘The ratepayers and community are paying Rous an undisclosed amount of money to operate the plants to dispose 30 tonnes of highly toxic industrial waste through the water supply per year,’ Mr Oshlack said. In another move FFNR are still preparing a Federal Court application against selected North Coast Councils who are allegedly in breach of the Therapeutic Goods Administration Act. The filing of the case has been delayed due to another matter in the Federal Court awaiting judgement. Further, plants are being shut down due to insufficient staff. Anti fluoride protesters outside Rous Water last year.